The more you have, the more you want to gag!! I enjoy making cards with different folds. This fold is great for single images. You can just change out the image and the designer series paper and you have a new card. Here are the instructions to make this card. If you would like to see a video on this card, please leave a comment at the end of this post. Card base – 7-1/4 x 5-1/2. Score on the short side at 3″. Snail a piece of Silver Fancy Foil Vellum (2-1/2 x 5) to Melon Mambo CS (2-3/4 x 5-1/4). Tie a piece of Melon Mambo 3/8″ Stitched Satin Ribbon around this panel into a bow. Trim off excess ribbon. Snail panel to front on card. Snail Melon Mambo CS (5-1/4 x 4) into the inside of the card. Emboss Whisper White CS (5 x 3-3/4) with the Perfect Polka Dots Embossing Folder or embossing folder of your choice. Snail to Melon Mambo CS in step 4. Emboss Smoky Slate CS (3 x 4) with the Square Lattice Embossing Folder or folder of your choice. Center and snail Whisper White in step 5. 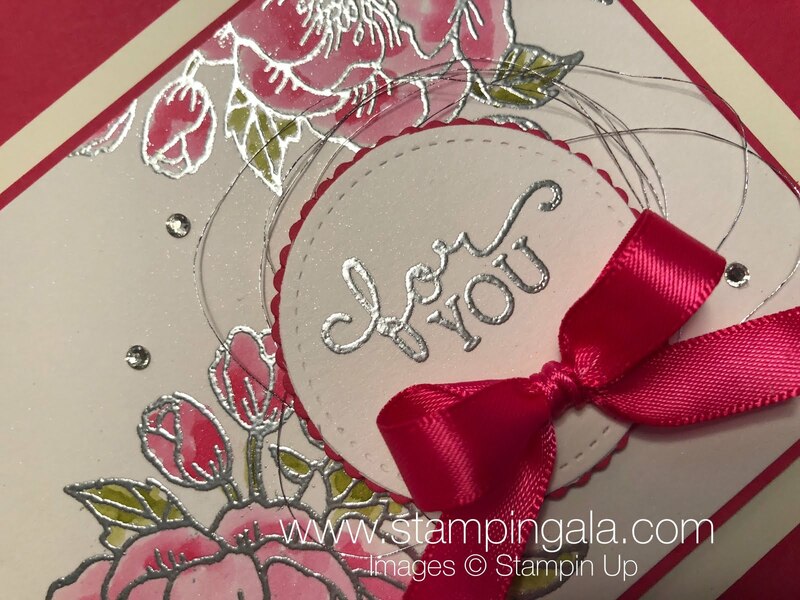 Stamp the “cat” image in the corner of a piece of Shimmery White CS (3 x 2-1/4) with Versa Mark. Sprinkle with Black Embossing Powder and heat with Heat Tool. (Make sure it is completely heated and the image is turned a shiny black, otherwise it will rub off). Color with Aqua Painters and Smoky Slate ink. Add Real Read to the tongue. Snail to Smoky Slate CS in step 6. Stamp the entire “cat” image on a piece of Shimmery White CS (2-3/4 x 2-1/2) with Versa Mark. 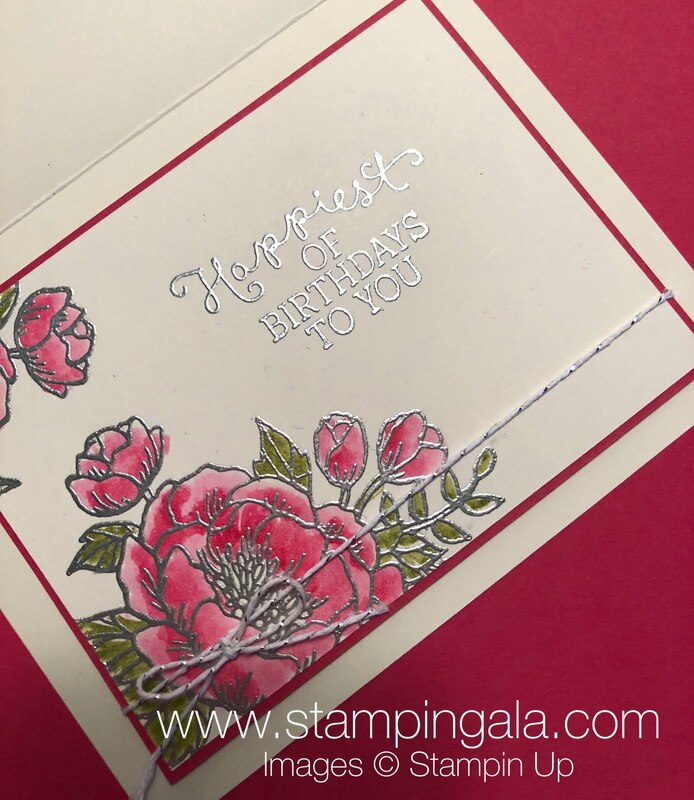 Sprinkle Black Embossing Powder and heat with Heat Tool. Color with Smokey Slate ink. Add a rhinestone on the end of the strip. 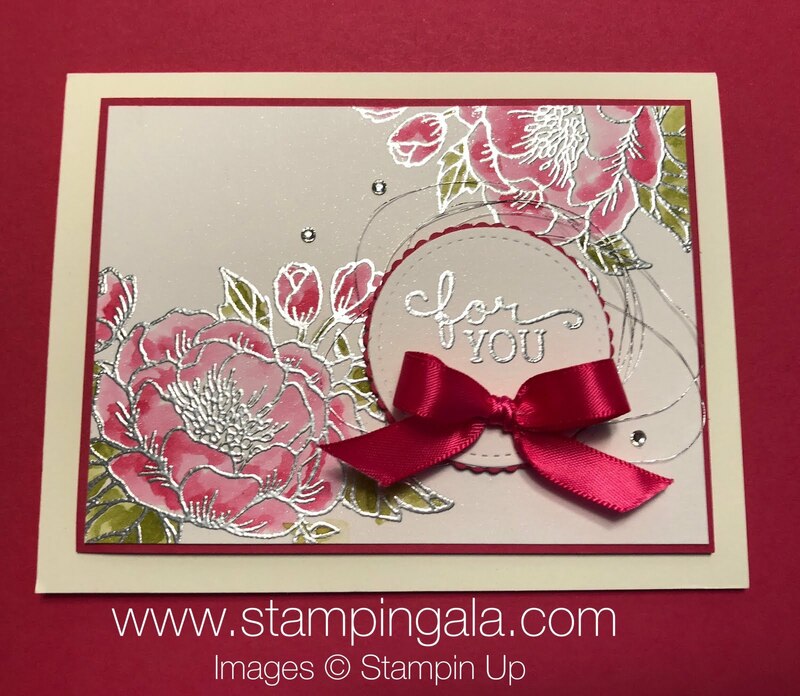 Place on card making certain that you are centering it over the Whisper White CS on the inside of the card. Send it to someone special or hoard it for yourself! !